thecheesewolf | "This is just the kind of sense that's… not." For information about the poem sequences, click on the menu to the right. The poems are in the menu above. For more about thecheesewolf click on his face, above! thecheesewolf (aka Gavin Jones) is a poet/musician/artist/writer/birdwatcher/tutor/cook based in Craven on the borders of the English counties of Lancashire and North Yorkshire. He has lived in many corners of these isles (and beyond) and is impressed by how tolerant folk have been towards him considering. The poems which form the main bulk of this site are to be found under the links at the top of the page. Each “collection” has a short introductory page (tabs to the right). To the right of the menu you’ll find his blog (also on his website), titled “Ghosts and Other Tales”. He greatly enjoys letting visual artists use his writing for kicking off ideas of their own. Please feel free, but do show him what you’ve done, and he’d love to know how you develop your ideas, and what it is you responded to. I wanted to stop by and thank you for subscribing to my blog. I hope you enjoy your visits and welcome to http://www.somethingville.com! Have a good day. Thank you for following my blog, and for your generous offer of material for ekphrastic poetry. I always credit the originator for anything I use at Vivinfrance. I look forward to reading more of your work. Thank you for subscribing to my blog….I stopped here first before visiting any of your writing. I live in Maine, USA, near Bangor on the coast but I am originally from the “Cheese state” of Wisconsin, USA. Thanks for stopping by Siggi… greatly enjoy the sound formed style of your poems: so musical. Whereabouts in Wisconsin? We have family near Portage… The cat is most excellent also. Hi kiddo, would you please email me at wildwoman2@shaw.ca ? I dont have an email address for you. Thanks so much! I have a Question! thank you for subscribing to my blog….and love the Cheesewolf name. Finally, something funny on the blogsphere! Instead of oh so serious! Hi. I’ve nominated you for a Liebster Award. Love you blog, and felt more people should too. Head over to my latest post and find out the details. All the best. Hey thanks! When I get a wee mo I’ll follow up… and will certainly post on. thanks again. and a big thanks back – look forward to reading your work! Thanks for visiting my blog and nice to get to know you from your interview with Sherry Blue Sky – how awesome to walk the moors where Wuthering Heights was born. Thank you for following – have bookmarked your interview in my mind – but can tell you right now – any fellow who has walked the moors of Wuthering Heights has re- enlivened my inner young girl’s swoon. Thank you for following my blog. Going to read your poetry now. And walking the moors sounds incredible. My husband did years ago but now we are in the U.S., alas. Thanks again. Normally, there’ are few things that I dread more than OPP – Other People’s Poetry – but yours won me over with its genuine high quality. Thanks for visiting my blog. Appreciate your stopping by and following my blog! Thanks so much for following my blog. Lovely interview at Poets United. Hi, the poem is lovely, wonderful writing. Thank you for mentioning the photograph, I love that you were inspired by it. Have a lovely day. Thanks for your comment on my blog, “cheesewolf”! Much appreciated, I’m subscribed to your email list now; looking forward to reading more of your poetry. This is cool. But why would folks not be tolerant of you? I have a slew of poems written about wolves and ravens probably written in 08 or so. I have no die if they are on my blog. it really brings a fascinating trip alive. Top travel writing, so thank you! Hello Cheesewolf. Thank you for the being the first person to read and like my blog. I appreciate the encouragement. I need it:-) I am enjoying looking around yours. Best wishes. Your poems are very beautiful, rustic, of nature inspired, those I’ve read so far. Thank you for visiting my blog, for it made me aware of yours. Will stop by frequently. All the best to you. Hi thecheesewolf. Thank you for liking my poem ‘ Near The Line’. And for wanting to follow my poetry journey. I will read your work, interesting to read you let visual artist use your poems to help them create. I’ve been thinking myself this would be a good idea. Best Wishes, The Foureyed Poet. Hi Foureyed One: really enjoyed the poem (and your other work on-site). I can’t recommend working with people in other disciplines enough. For poems to find new lives in the creative process and work of others is a fascinating thing. Also, they are not ours once we have written and published them: they belong to anyone who wants them. If someone respects them – for whatever reason – it is humbling, and is, I guess, the point. 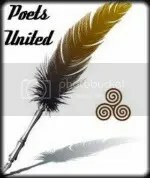 Read your interview on Poets United and saw the photos. What a misty, mystic (and quite ‘uncheesy’) place you live in. Envy you. Seems like the place is sculpted in poetry and the inhabitants must speak in poems, some perhaps as good as The Ghost of a Ringtail. Thanks for coming by. Will check out your interview. Thank you for coming by. I am delighted to have you among my followers and to have discovered your poems. just thought i’d visit a bit to thank you for liking so many of my poems tonight via d’verse. i read all the Song of Ondine poems, so many lines i wanted to cite, so many lyrical word combinations, just sublime poetry to these ears, ty. I don’t know what a cheesewolf is, but I love that name. And thank you for reading my blog. Thanks for your positive response to my rather intermittent and self-absorbed blog. ‘Birds of the Yorkshire Dales’ is delightful. Thanks so much for stopping by Discover Santosha and deciding to follow. I’m honored to have you as a reader! I enjoyed reading your interview -sounds like you have a quite contented life..
Hello. Thank you for following my blog. I enjoyed exploring yours. The interview was an excellent read, it is nice to meet you. I love the name thecheesewolf, and of course the yellow. I will return. Have a great weekend. Appreciate your reading my writing and following the blog. I read several poems of yours; they have interesting similes and metaphors. I did not have any result when clicking on your photo. Best to you and your poetry writing! Hey thanks Cynthia. I’m really enjoying your writing – especially News from a Place Unnamed (maybe it is the wolf?). Thanks for the heads up on the link. It seems to be OK from this end. I know Kindles seem to have a problem with links on the theme I use, it might be that? My theme is a bit old now, but am reluctant to change it. Can be a faff. Best to you. It worked this time! I enjoyed the interview and checked out one of the films. Well done. thanks for following my blog and liking a post! Poetry usually baffles me, but yours works for me. Maybe cause I stop and pay it some attention. Looking forward to more! Thanks for following my blog! I’m flattered that you like my poems and I enjoyed reading Le Mort. Best of luck to you and don’t stop writing. Hello, I want to thank you for following my blog, “Beyond The Cracked Window,” it is greatly appreciated. I am truly enjoying your writing and plan to read much more of your work. Thanks for following my Blog @ http://gardensandgrills.com. I hope the recipes I post will inspire your inner Foodie. Thank you very much for visiting ISLAND VIGNETTES! Such a unique name, i just had to come visit your site! …and I must also say THANK YOU for following Island Vignettes. Wishing you a fantastic day! Hey, thanks for the like on my David Byrne piece. I wasted WAY too much time at work checking out your site and getting wrapped up in poems. I will make sure to stop back regularly. Great job, sir! Your poetry blog is elegantly presented and a pleasure to read. Thank you for visiting and following my blog. Thank you so much for joining this journey! We would be happy to showcase any talent you may want to submit! Check our calendar page for what’s up and coming! hi. Thanks for the ‘like’ on my ‘sculpture’ as it took me to a very interesting read (interview). My wife had asked me about the name as you’d done a like or two on some of her pictures so it prompted me to have a deeper look. The poem at the end of the interview is wonderful. I’m a ‘writer’ but only a consumer of ‘creative writing’, though I have been known to pen a haiku or two on my other blog. I’ll be back now and again to enjoy more of your poems. Hi Cheesewolf. Thanks for the follow on my blog The Reluctant Retiree. You might recall you gave me great positive feedback on my earlier attempts. Much appreciated! BTW, towards the end of our overseas holiday we were up near your way. You might be interested to read the post called A Journey to the North of England: Cartmel and surrounding areas. Hi Cheesewolf. Hope you had a great Christmas. I was recently nominated for an Awesome Blog Content award and I have nominated you in turn. I do enjoy catching up with your poetry and hope to introduce some new readers to you. I loved your poem about the raven but couldn’t find “The Garden”and some others you have listed in about. I’m from Lancashire too so it’s a pleasure to see a fellow blogger. Thank you for following me.